We share this planet with about 7.6 billion of our closest friends. They live or work on seven continents in nearly 200 countries. In many ways we’re alike, but we’re also unique with each one of us being different from everyone else. At RHRLI we see patients from all walks of life and we treat all of our patients as individuals. Certainly, there are similarities in many of the hair loss cases we see but we also know there are differences in all of our cases. The world is full of differences from culture to how countries are governed, so we thought we’d take a look at how hair loss differs around the world. We’re hair loss experts at RHRLI and we want our patients to be experts too. The more you know about hair loss and thinning hair, the better you can understand your treatment options. RHRLI offers the ARTAS® System, a permanent solution for your hair loss. ARTAS® uses robotic technology to create a minimally invasive hair transplant procedure that can give you a healthy head of hair. Hair loss affects about 80 million people in the US as well as countless more around the world, so let’s examine the hair loss differences around the globe. 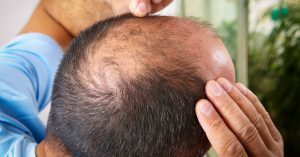 According to UK Express newspaper, the country where hair loss is most common is in the Czech Republic where nearly 43 percent of men are losing their hair. Europe is home to the next four countries that have the highest rates of hair loss as Spain was number two with nearly 43 percent of men losing hair. They’re followed by Germany at 41 percent and France with 39.24 percent. That just edges out their neighbors across the English Channel, England, at 39.23 percent. The remainder of the top 10 spots were all in Europe and North America with the U.S. in the 6th spot followed by Italy, Poland, the Netherlands and Canada.Asia is the place to go if you’re looking for a population with low rates of hair loss. Japan, Hong Kong, Malaysia, Thailand, Taiwan and South Korea all have a population with low levels of male hair loss. While the U.S. is only sixth on the list of countries with the highest level of hair loss, it’s the country with the highest number of hair transplants, according to a 2017 survey by the International Society of Hair Restoration Surgery (ISHRS). They estimate that 133,000 surgical transplants were done in the US in 2016, when the data for the survey was gathered. The Americas had the most transplants worldwide with about 66,000 transplants being done in Mexico, Central and South America and an estimated 7.855 coming from Canada. Despite having a low rate of hair loss, there were 195,000 transplants performed in Asia. There were about 80,000 transplants performed in Europe. Wherever you are in the world, finding a permanent solution for hair loss can be life changing. Unlike surgical procedures like strip surgery which require a scalpel and longer recovery times, the ARTAS® robot uses precision to identify healthy donor hairs to transplant. The result is the healthiest head of hair you can find. To learn more, contact us today.